Ricky Armendariz, "Saturn and His Children"
Flatbed is pleased to announce the new publication "Saturn and His Children", a woodcut by Ricky Armendariz in an edition of ten. 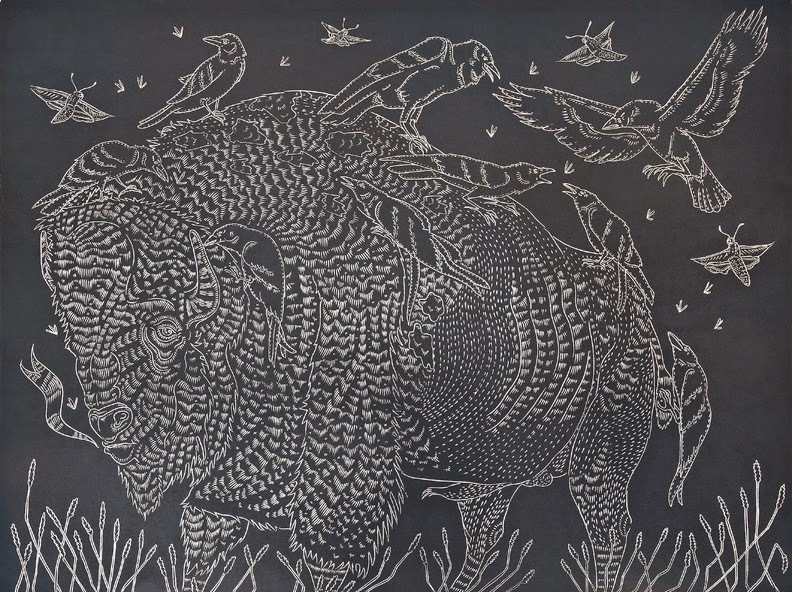 It's a stunning woodcut that measures 36" x 48" without margin and printed in a dark blue-gray. 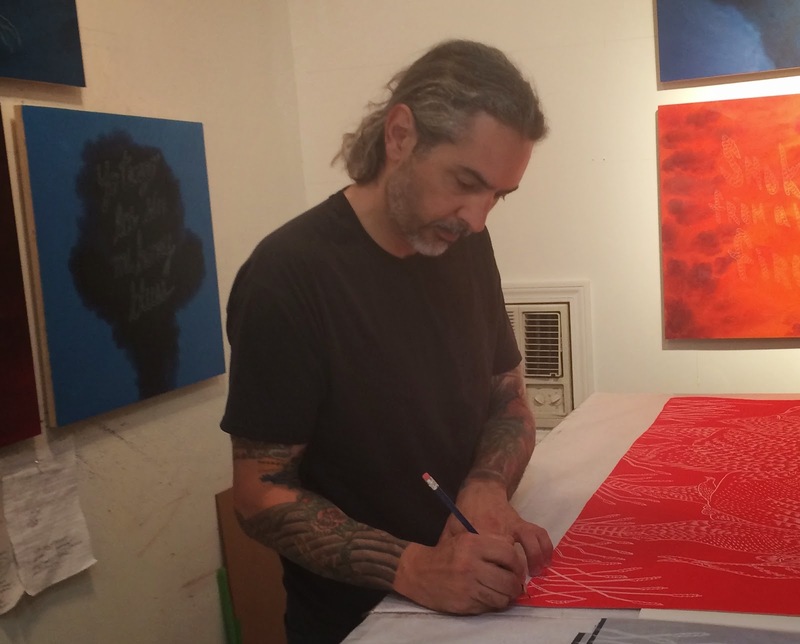 Armendariz had been chosen by Peter S. Briggs, the Helen DeVitt Jones Curator of Art at the Museum of Texas Tech University, for the PrintTX exhibit at the Museum of Printing History. I was bowled over by the direct cut of pattern and detail Armendariz uses. What I didn't know was that he had been cutting blocks like this for some time and primarily using them in his painting practice as well as printing blocks. When Armendariz approached us to print this block, we jumped at the chance to publish the print. Saturn and His Children is now available at Flatbed. Price starts at $1800 and is subject to change according to availability. Contact Katherine Brimberry or Anna Gratovich at info@flatbedpress.com or call Flatbed Press 512.477.9328 x 30.